I love to travel, but I also love to save money. That’s why I asked my travel and money savings’ expert friends to share their favorite tips to save money while traveling. Keep this list handy when you’re on your next vacation! The travel tips from the money saving experts are organized based on accommodations, flexiblity, get social, loyalty programs, dining, and others. Use discount sites like HotelTonight (save $25), RocketMiles (1,000 bonus miles), or PointsHound (500 bonus miles) to save on a last-minute hotel room. Stefanie O’Connell – My number one money saver when traveling is subletting my apartment while I’m away. Having someone pay my rent while I’m out of town can offset the cost of my vacation entirely. Kate Dore of Cashville Skyline – My favorite way to save while traveling is by booking accommodations almost exclusively though Airbnb. I look for spots with free parking or walkable to places I want to spend time. Plus, I love the option of cooking 1-2 meals rather than being forced to eat all my meals out. Hui-chin Chen at MoneyMattersForGlobetrotters – Know when to book way in advance for cheaper rates and when to take flexible vacation and get last minute deals. Usually the indicator is whether there is high demand (summer, conference, etc.) at the place you are traveling to at the time. If you are traveling off-season, sometimes you will run into unexpectedly nice accommodations at a very low price that weren’t advertised online as you stroll into town. Doug Nordman of TheMilitaryGuide – “Slow travel” by staying in a place for weeks or months instead of hopping between resort hotels. Live local with AirBnB or Booking dot com apartments and explore the neighborhoods. Eric Rosenberg of PersonalProfitability – Be flexible with your accommodations. Consider Airbnb, hostels, and crashing with friends. Many people perceive hostels as only for young partiers, but you can sometimes find great deals at hostels that are not just for young partiers. However, be sure to read the reviews to find one that is a great fit for your trip and your budget. Jaclyn Lambert of StudentLoanHero – My favorite hack is getting free accommodations. Consider house or pet sitting abroad. There are even websites dedicated to house swapping! Flexibility is key when using miles and points. If you can move your vacation forward or backward by a couple of days, it can mean the difference between using miles versus paying cash. Joseph Hogue of PeerFinance101 – I always book for the middle of the week and during ‘shoulder periods’, those off-season times when others aren’t traveling like when kids are going back to school and after the holidays (early January). Tickets are usually cheaper because everyone else has just finished their vacation and the airlines are looking at a big hole in demand. Doug Nordman of TheMilitaryGuide – For U.S. military servicemembers, families, and retirees: travel Space Available on military aircraft. You have to be flexible on dates & locations, but it’s free– and particularly good for military retirees. Holly Porter Johnson of ClubThrifty – The best way to save in my eyes is traveling off-peak. Whether you pay in cash or credit card rewards, travel often costs less if you’re willing to book your trip during less busy times of the year. As an added bonus, off-peak travel usually comes with lighter crowds and lower prices on everything from food to souvenirs. Jamie Larounis of TheForwardCabin – To save on traveling, I’d recommend being flexible with your plans, and by being active on social media with accounts that post deals and fare sales. While many do fit the dates that I want to travel, sometimes you just need to be flexible by a day or two. If returning on a Saturday instead of a Sunday means saving a couple hundred dollars, then I’ll do it. Debra Schroeder of TravelingWellForLess – If you don’t have airline miles or points, an easy way to save money on airline tickets is by flying from another airport. This could mean driving to another state. Or even taking a cheap flight to another city and then flying from there to your destination. With the right credit cards, you can either get fees waived or reimbursed when traveling. 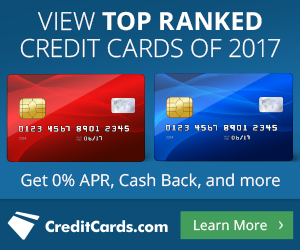 If you’re looking for a new card, click here for some of my favorite credit cards. Jim Wang of WalletHacks – I fly almost exclusively Southwest because BWI is a hub, but if I didn’t I’d make sure to keep my eye on baggage fees because they can really jack up the price of a ticket. It makes comparison shopping harder because what might seem like a cheaper ticket could be more expensive once you factor in extra charges. Debra Schroeder of TravelingWellForLess – Renting a car is easy but if your hotel charges for parking or parking spaces are few and far between, it could be cheaper to use a ridesharing service. I save money on traveling by comparing the price to rent a car to using public transportation or a ride-sharing service like Uber, Lyft, or Zipcar. Following the social media accounts of your favorite hotel and airline brands provides advance notice of promotions, and social media is often a quicker way to resolve an issue than waiting on hold when you call their customer service. Jamie Larounis of TheForwardCabin – You can also get airfare deals and other hacks by attending in-person events such as Frequent Traveler University, which occurs several times a year. You’ll connect with like-minded travelers and hear from expert speakers who share the tips and tricks to finding cheap trips. The best part is the networking you’ll have with other attendees — that’s where you’ll get the best information and form new friendships. Stefanie O’Connell – One of my top travel savings strategies is putting out a call for suggestions on facebook. Not only do you get insights from others who’ve traveled to the places you’re visiting, you often get people with local connections who can hook you up with a free place to stay or free tickets to local attractions or otherwise. I’ve gotten everything from free meals to free Cirque du Soleil tickets with that strategy. John Perri of JohnTheWanderer – Everyone should follow the sites and Twitter feeds of FareDealAlert, TheFlightDeal, and SecretFlying. When you find a deal that looks good, pull up Google Flights and use the calendar to see what days the fare works. Once you find dates that work, book it right away and make use of the free 24-hour cancellation and refund policy that most airlines offer. Or in the case of American (until they remove the option) make use of the free 24-hour hold. Keep in mind that most of these fares only last for a short while, so be sure to book them right away. Use the free cancellation period to verify you can actually go. Jamie Larounis of TheForwardCabin – A majority of the deals I travel on are one’s discovered on Twitter or Facebook. One great thing about following a website such as The Flight Deal is that they let you know the restrictions behind an airfare – such as how long you need to stay, whether a Saturday night stay is required, and what connections or dates will or will not work to get the cheapest fare. I also recommend using Google Flights. As simple as it sounds, it’s a powerful tool to search for airfares on any day to any destination. For example, you can see the search parameters to depart from Washington DC, for example, to fly to “anywhere” in the world, and you’ll be able to see visually on a map the fare prices to literally every commercial airport there is on your preferred airline. So, if you don’t know where you want to go, you can compare the prices of destinations all across the globe. Whenever I pay for a hotel room, I book the lowest price room possible directly from a hotel that I have status with, then rely on my loyalty status to get an upgrade. Always sign up for the email newsletters of your favorite hotel chains, airlines, and rental car companies. They want to reward your loyalty by giving you first notice of special prices and promotions because they know you’re already interested in their brand (this is known as a “warm lead” in the marketing world). 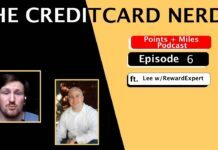 Elizabeth Colegrove of ReluctantLandlord – My husband and I are huge fans of credit cards points and status. Through every day spending on our American Express Hilton Diamond Card (click here to apply for your favorite card). One of the ways we save a lot of money is by staying loyal to the Hilton brand. Not only do we get free breakfast, wifi and upgrades (which is awesome since we always book the cheapest room), but we usually end staying for free, since we’re staying on points. Debra Schroeder of TravelingWellForLess – One of my favorite ways to save money when traveling is to use frequent flier miles and credit card points. I’ve started collecting frequent flyer miles since 1994 and our family has taken amazing vacations. Some of our favorites are Kauai and Sydney, Australia. Our out of pocket cost for a week in Kauai was a little over $400 (First Class flights, a week at the Grand Hyatt Kauai, rental car, all meals, and activities). Our week in Sydney, Australia, for First Class flights, hotel stays (including the Park Hyatt Sydney), transportation, all meals, and activities) was $570. One way I save money when traveling is to book hotels with free breakfast or a lounge with free snacks & drinks. Also, check out local sites like LivingSocial and Groupon for deals before you travel. Teresa Mears of Living on the Cheap – I like to eat out, and I like to eat at good restaurants. So I order an appetizer or salad and dessert. That’s plenty of food, and it’s cheaper. I also look for free events and festivals, especially live music. Debra Schroeder of TravelingWellForLess – Eating out can be expensive, but here’s a few tricks I use to cut down costs. I do Google search for best Happy Hours and places that have free meals for kids. You’ll be amazed at how much you can save on meals when you eat during Happy Hour. Tabitha Day Philen of MeetPenny – As a large family, we research rates and consistently find travel to be more affordable when we stay at a condo with a full kitchen instead of several hotel rooms where we are forced to eat out. Elizabeth Colegrove of ReluctantLandlord – Another way we save a lot of money traveling is splitting meals. My husband and I love to eat out at nice restaurants. So we always split the entree. Debra Schroeder of TravelingWellForLess – Even if you’re using frequent flier miles and credit card and/or points to pay for your flights and hotels, activities can also take a chunk out of your wallet. Before each trip, I’ll do a Google search for all the free activities and things to do. These get added to my spreadsheet itinerary for our trip. Sarah Li Cain of HighFivingDollars – I like to book hotels/hostels that are not near any expensive/5 star hotels. Usually, restaurants and other amenities around those sorts of hotels tend to have inflated prices. If I’m feeling adventurous, I go into restaurants where I don’t see foreigners (this is in Asia) or the menus don’t have English to them. I don’t recommend that if you have major food allergies, but I’ve saved major bucks dining out this way. Roger Wohlner of TheChicagoFinancialPlanner – Check for discounts like AAA or others that you might have access to for hotels, attractions, etc. William H. Dwight of FamilyFinanceFavs – Two ways to get your kids involved and teach them some personal finance basics is to give them a souvenir allowance that they have to stick with (which keeps them from constantly asking for more money) and to include them in the search for the best deal on theme park options. Doug Nordman of TheMilitaryGuide – Travel to low-cost countries (Southeast Asia) for medical checkups & dental care… and, oh yeah, spa treatments. Bumrungrad Hospital in Bangkok (and the surrounding neighborhood) is particularly good for medical tourism. Kim Anderson of ThriftyLittleMom – When money is tight we simply plan a staycation and explore our own backyard. It’s fun, memorable, cheap and there’s no one yelling, “Are we there yet?” from the back seat. These experts really know how to stretch a travel budget. There are excellent ideas that you can easily incorporate into your travel strategy without too much effort. I know that I learned quite a bit, and I hope you did too! Please let me know which of these tips were your favorite… and if you have any additional tips to share that weren’t mentioned here. Also, please write and let me know if you use any of these tips when you travel. Have a great time in St Maarten. Like Holly said, Maho Beach is fun with the airplanes flying directly overhead. I’d like to hear which side you like better, the French or the Dutch. We stayed on the Dutch side last summer for my 40th birthday. Such great memories! Enjoy. You’re welcome Kate. Thanks for offering some great knowledge! Timmy might challenge you to a push-up contest to see who gets to eat the pancakes.